Note Values: Exactly How Long Are the Notes? Use Rhythm Syllables to Learn Rhythms Faster and Easier. Every serious pianist should spend a little time learning more about music theory. Not only will it help you read music better, but it will also deepen your understanding for how music is built and appreciate the musical compositions you play even more. It may also help with memorization of your piano piece, as it's easier to memorize something you understand the structure and outline of. 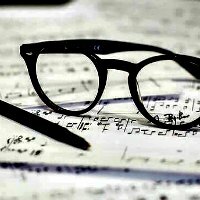 Start today with some of the many music theory articles on OnlinePianoCoach.com, I hope you'll learn something new and interesting! Confused about note values and rests? Here are your answers! In this lesson you'll learn how to divide the notes, and how to understand exactly how long (or short) a note or rest can be! Chanting and clapping or tapping rhythm syllables is an easy and fun way to quickly learn rather complicated rhythm patterns. In this exercise you will learn the syllables used, and how to combine them for different rhythm patterns. 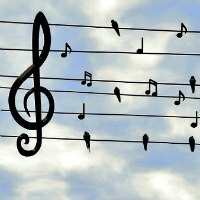 Learn how to use simplified rules for 4 part harmony writing, while composing your very own piece in this free music composition lesson! I am trying to write down a Minor 2nd in the key of G Major (G/Ab). The common practice is to use only Sharp symbols in a key signature that uses sharps. Print your own free staff paper for your music theory studies and compositions! The music manuscript papers come in different layouts, and I did not put a logo on them, since that's how I like them myself- nice and clean. Fill them up with your own music instead!